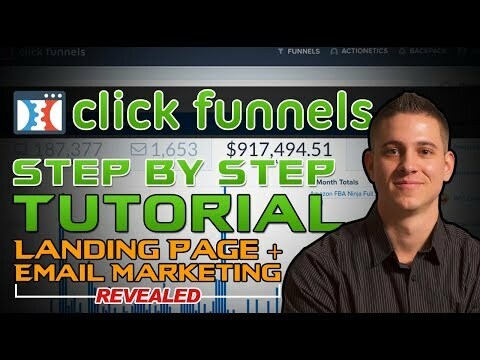 ClickFunnels was founded in 2014 by Russel Brunson and has turned into a $360 Million Dollar SaaS business. What’s even more impressive is that it was entirely self funded. Russel Brunson, the founder of ClickFunnels is an experienced internet marketer. He had a significant amount of online presence, and really focused on selling his software early on with webinars and lots of email marketing. Fast forward to 2018 and it’s one of the fastest growing landing page builders that you can use to build landing pages and membership groups. Before getting into the ClickFunnels software itself, it’s critical to understand the purpose of sales funnels and why they are so key to maximizing your profits. The first reason is that once a visitor enters your sales funnel, you have them for life. That’s because the first step in any good sales funnel is to collect your visitor’s email address. Once you have their email, you can then start preselling your leads about your product or service you want them to buy. Russell recommends coming up with a soap opera sequence which will build up your lead’s trust in you, and get them more willing to take out their wallets and buy. The next step in the sales funnel is sending your leads to a sales page. This is a special page that is designed to get people to buy. They often include an eye-catching headline, images or video, and bullet points describing the benefits that get the visitor excited and helps you close the sale. For the customers that enter in their credit card and purchase, you then present them with 1 or more One Time Offers (OTOs), upsells and downsells. These are what are called back end sales, and this is where you maximize the profit you make from each customer, and how you can really explode your business. ClickFunnels is essentially a landing page builder on steroids. The biggest selling point is that it’s easy to use. It does have some drawbacks, which I’m going to cover later on, but overall it’s an excellent tool that you can use to build landing pages, sales funnels with upsell/downsell functionality and even membership groups. It’s packed with pre-made templates that you can customize however you see fit. ClickFunnels is a tool, just like any other software. You can earn money online in many different ways, and Clickfunnels can help you reach your goals, but ONLY if you put in the work. ClickFunnels is not a get rich quick scheme — it’s a tool to help you reach your customers and sell more products. They even back up their software with a 14 day free trial. What are some of my favorite features of ClickFunnels? Your sales funnel is now live and you can start sending traffic to it. The BestSeller Book Funnel — Great for authors who are hoping to sell more books. The Product Launch Funnel — When you’re debuting a new product, use this funnel. The Perfect Webinar Funnel — Don’t host a webinar without a solid strategy in place for increasing registrations and then getting those people to actually show up. The “Real Stuff” Funnel — If you sell and ship physical products, you need this specific funnel. The Fishbowl Funnel — This funnel is great for brick and mortar businesses who need to generate local leads. The Network Marketing Bridge Funnel — Lead generation made easy for network marketers. Pages in ClickFunnels are laid out using sections that can have any number of rows and columns. You can then use your mouse to drag elements around and place them where you want them. While perhaps not as flexible as Instapage’s landing page editor, it is still excellent and it can be used to achieve pretty much any design you want. What I like is that the editor is very intuitive to use. Selecting components on the page and moving them where you want is very seamless. Text elements can be edited inline, and modifying any element’s properties can be done through the fly-out sidebar. Elements (or widgets) are essential for giving you the flexibility to design the exact pages you want and ClickFunnels gives you a wide variety of them to use. Plus, there are specialized elements like Membership elements for your memberships pages and order and shipping form elements for your order pages. Each element can be easily customized in the editor sidebar. With most elements, you can change common properties like background colors, margins, fonts, and alignment. Then there are element specific properties like the image url for the Image element or [add another example here]. As far as I can tell, there are no ClickFunnels coupon codes available. However, you can choose to pay yearly and get a 16% ClickFunnels discount. That’s the equivalent of 2 months free. However, ClickFunnels does make it easy for you to demo their service with their free, 14-day free trial. It’s not limited in any way which lets you give the software a full test before you fully commit. After your free trial, you’ll have a 30 day money back guarantee. So, if you realize that you hate it on day 29, you can cancel (no questions asked) and request a full refund. The value pack including all the ‘Actionetics’ and ‘Backpacks’ comes at $297/month. Email Marketing (You’ll still need standalone email service providers such as Aweber, ConvertKit, GetResponseor Mailchimp). If you have a huge list of subscribers (or multiple lists), your email marketing costs will make up for a sizable chunk of your budget. Any amount of money you’d spend for paid traffic (including Native Advertising, Facebook Ads, and Google Adwords). Best software for creating marketing and sales funnels. Easy to use “drag and drop” functionality. Cost effective (basic membership is $97/mo. and has everything you’ll need). Can be integrated into custom domains/WordPress sites. Legitimate Page Builder — you can see changes as you make them. Can integrate with Stripe to take payments easily. Can integrate with Aweber, Convertkit, GetResponseor other email providers to send automated emails. Support is really good, will often create video screen grabs just for you. You can share funnels between people (funnel design business opportunity). Plenty of pre-made FREE templates that you can use and customize right away. Has a comprehensive split testing tool allowing you to split test different landing pages and declare a winner. Conversion tracking stats so you can compare what offers convert the best. Email integration that allows for full marketing automation. Easily share any funnels you make and automatically earn affiliate commissions. It’s more software you’ll have to spend time learning. Can be confusing if you are a novice internet marketer. When ClickFunnels goes down, so does your landing pages. URLS can be funky if you are not using a custom domain. Limits on the number of funnels, pages, and visitors with the standard plan. Each product features a large selection of nice looking templates. Both have drag and drop editors that make it easy for you to create the designs you want. And both integrate with all the popular email service providers. However, Leadpages is more limited in scope than ClickFunnels. You use it to create landing pages that will help you collect leads. This is not a bad thing because LeadPages really shines for making landing pages fast. Right now, one of the most effective strategies for growing your email list is by using content upgrades. By creating targeted lead magnets to your most popular posts you can get opt-in conversion rates that far surpass your standard pop-up. However, if you are selling a product or service, then ClickFunnels is the definite choice. While it comes with a higher learning curve than Leadpages, once you master the tool, you can really explode your sales once you start creating sales funnels for each of your products. Yes, you can sell things with LeadPages, but it’s not as simple to add upsells and downsells which ClickFunnels can. SamCart is geared towards getting set up and selling fast. It supports both Stripe and Paypal and it comes with 17 different checkout page templates which you can customize. However, where Samcart is lacking, is the ability to capture leads and create complete sales funnels. Both products come in at the same $97 a month price point, and I find ClickFunnels to be quite a bit more flexible and powerful than Samcart. Build your sign up forms with Sumo. Plus, you could build all the landing pages, thank you pages, and other funnel pages using Instapage ($99 per month). Instapage allows you to have as many landing pages, funnel pages, and thank you pages as you need. Plus, it also comes with A/B testing. Did you also know that Instapage happens to have the best drag-and-drop page builder engine in the world? For running an Affiliate program, you’d just need to spend $500 one-time for ShareaSale and you’ll have a whole army of affiliates already waiting to signup with you and then to promote your products and services. Sumo, Instapage, and Ontraport for email marketing Automation = Complete Control and Infinitely Scalable. Q: What type of pricing plans does ClickFunnels offer? Q: Who are the typical users of ClickFunnels? Q: Is there a Clickfunnels Tutorial? Q: Will ClickFunnels work with Shopify? Q: Can you use ClickFunnels for Dentists? A: Absolutely. All different types of small business owners can come up with solid sales funnels that can be used on other advertising platforms to generate leads for their businesses. ClickFunnels is popular with Realtors, Restaurant owners, Photographers, eCommerce store owners, Insurance Agents and many more industries. Q: Can you use ClickFunnels with WordPress? A: We answered this one in detail earlier, but yep — absolutely. As long as you download and install the ClickFunnels plugin on your site, it’s pretty easy to setup and get the software moving. Q: Can I use ClickFunnels for Amazon Products? A: Yes! We use ClickFunnels for several of our FBA products as mentioned earlier, and we self fulfill them on the FBA side. This cuts out the Amazon referral fee they take as a part of each sale. Q: ClickFunnels vs. Thrive Architect: Which is better? A: This is a highly personal preference. For me, I prefer Thrive Architect when building affiliate product related pages. Same with Elementor. Either page builder is great for that. But specifically for product or service related landing pages, it’s pretty much impossible to beat ClickFunnels in my opinion. Q: Does ClickFunnels integrate with ActiveCampaign, Convertkit or Infusionsoft? A: Yep, you can absolutely integrate most larger email management services when building out your sales funnels. It’s all connected on the back end, and you can manage it with tags based on your email provider. You can segment your audiences accordingly with different email sequences, just like you can if you collect email addresses on a WordPress based site. Q: If I can only use one, should I use ClickFunnels or WordPress? A: The only way I’d ever recommend using ClickFunnels over WordPress would be for small businesses, coaches or consultants. You can buy the ClickFunnels software and then just build your entire site right in the database. Keep in mind that if you want to switch to WordPress later for a self hosted solution, you will be starting pretty much from scratch again. Everyone else should use WordPress as your content management software, and add ClickFunnels strictly for landing page build outs as you go. Q: How can I cancel my Clickfunnels subscription? A: This is done right in the back end interface. There are instructions on how to do this right here. 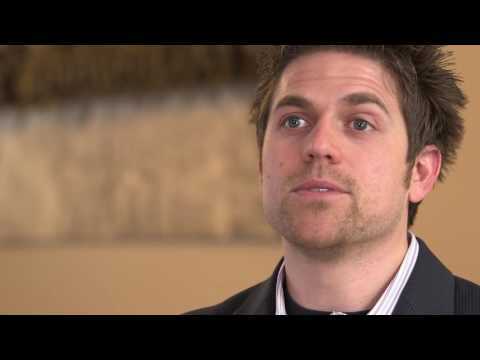 Q: Can Clickfunnels replace Infusionsoft? A: Unfortunately these SaaS companies focus on two different things. Convertkit is a good solution to replace Infusionsoft if you are feeling the need to move on to a new provider. Q: Can you setup Webinars in Clickfunnels? A: While you can’t setup actual webinars, you can setup the funnels to get registrations. It’s not webinar software. But you can use it as your optin provider for your webinar, and you can build out custom landing pages to host evergreen webinar replays for your audience. Q: Can I use Clickfunnels for a membership site? A: We’ve already covered this one in a ton of detail. You can absolutely use it for memberships and it’s great to get started. If you are building a very robust membership for thousands of people, there are other enterprise options out there you may eventually want to consider. Q: Does ClickFunnels have an Affiliate Program? A: Yes it does, and it can be lucrative. Which is why the software is awesome in my opinion. Not only can you get software that works really well, you can get a cut of the referral fee if you refer people to the Clickfunnels program and they subscribe. It’s always great to have a product that you genuinely want to recommend to people. I would refer people to Clickfunnels even if there wasn’t an affiliate referral program. Q: Does ClickFunnels offer discount coupons? A: Not that I’ve seen. BUT they do offer a 14 day trial, so if you grab it and don’t like it, you can just cancel your membership and move on. It’s not hard to cancel either, so you don’t have to stick around if you realistically won’t use the software. If you are a small business owner though, keep in mind that most advertising agencies that use ClickFunnels, will want you to have an active subscription so they can build your funnels for you in your own dashboard. Q: Is ClickFunnels Legit, or is it a Scam? A: Obviously anyone that knows about affiliate marketing knows that you NEED some type of software to get your offer in front of potential customers. ClickFunnels is NOT a scam. The software is completely legit, which is why they give you 14 days to test it out.